Fun filled birthday entertainment for kids. Children’s parties here at Viva Blackpool are always action packed! 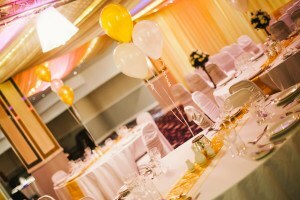 If you’re looking for a party venue with a difference, look no further than us for a fantastic venue which everyone will love. We’ve been hosting spectacular parties for decades and love nothing more than putting on a dream party for children. We have plenty of features and options available to parents to make your child’s big day an extra special occasion, so read on to find out about the magic we’re able to work. Hold A Dream Birthday Party! With custom packages available for your little ones, whether it be a Princess Party with Elsa and Anna, or a magical celebration with our resident magician Michael Jordan and the cast of High Jinx, we can put together a tailor-made party package covering everything from catering to entertainment and more! We can also host indoor bouncy castles, candy cards, dance floors and more – speak to us before you book anything and let us show you how we can make the occasion one to remember and be the talk of the school playground. Our staff love to try out new children’s party themes, so don’t be afraid to ask for even the zaniest ideas. Whether it’s a Pirates of the Caribbean costume party, SpongeBob SquarePants themed, or if you have Harry Potter in mind, we’ll do our very best to make your children’s party the best experience it can be.